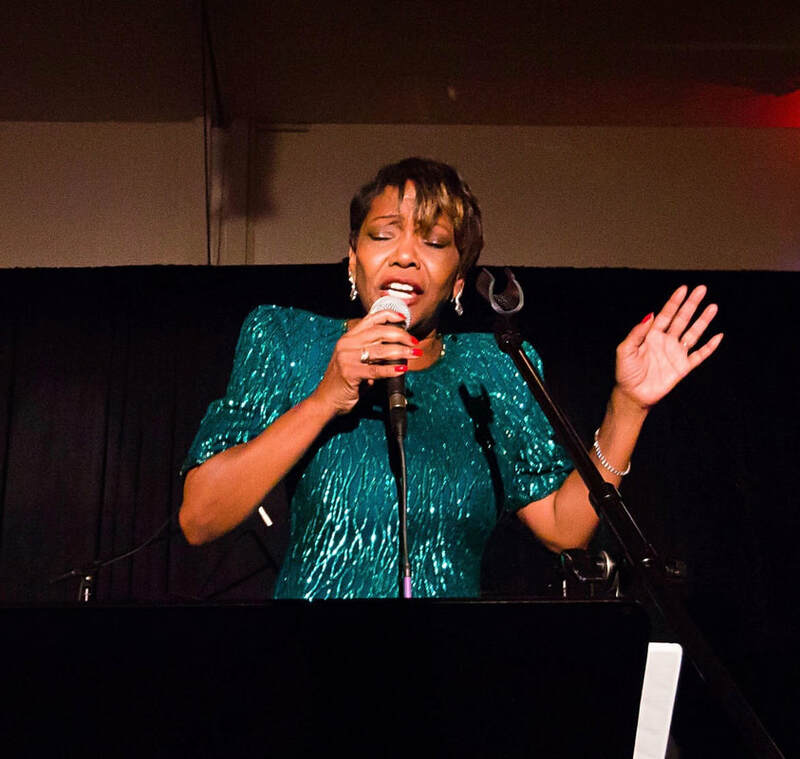 Where​ ​there​ ​is​ ​an​ ​explosion​ ​of​ ​music,​ ​dance​ ​and​ ​drama,​ ​you’ll​ ​find​ ​the multi-talented​ ​Cheryl​ ​Bennett-Scales.​ ​Cheryl​ ​is​ ​a​ ​jazz​ ​vocalist,​ ​actress​ ​and​ ​teacher that​ ​is​ ​based​ ​in​ ​San​ ​Jose,​ ​California.​ ​She​ ​is​ ​employed​ ​by​ ​the​ ​San​ ​Jose​ ​Multicultural Artists​ ​Guild​ ​as​ ​an​ ​Administrative​ ​Manager​ ​and​ ​Music​ ​Director.​ Ms.​ ​Scales​ ​has​ ​an​ ​extensive​ ​career​ ​in​ ​acting.​ ​ ​A​ ​member​ ​of​ ​TABIA​ ​African Theatre​ ​Ensemble,​ ​Cheryl​ ​has​ ​performed​ ​in​ ​several​ ​of​ ​their​ ​plays​ ​including​ ​The Dance​ ​on​ ​Widow’s​ ​Row,​ ​Waiting​ ​to​ ​be​ ​Invited,​ ​Shakin​ ​the​ ​Mess​ ​Outta​ ​Misery, Long​ ​Time​ ​Since​ ​Yesterday​ ​and​ ​For​ ​Colored​ ​Girls....​ ​In​ ​June​ ​2007​ ​she​ ​performed in​ ​San​ ​Jose​ ​Stage’s​ ​production​ ​of​ ​Beehive​. For​ ​years,​ ​Cheryl​ ​indulged​ ​herself​ ​in​ ​jazz​ ​studies​ ​under​ ​the​ ​direction​ ​of Roger​ ​Letson,​ ​DeAnza​ ​College​ ​and​ ​the​ ​Jazz​ ​ ​School​ ​in​ ​Berkeley,​ ​studying with​ ​Madeline​ ​Eastman,​ ​Kitty​ ​Margolis​ ​and​ ​Maye​ ​Cavallaro.​ ​ ​Cheryl’s singing​ ​style​ ​was​ ​greatly​ ​influenced​ ​by​ ​three​ ​diva’s​ ​of​ ​jazz,​ ​Billie​ ​Holiday, Sarah​ ​Vaughn​ ​and​ ​Nina​ ​Simone.​ ​ ​Cheryl​ ​has​ ​already​ ​graced​ ​the​ ​stage​ ​with phenomenal​ ​musicians​ ​such​ ​as​ ​Larry​ ​Vuckovich,​ ​John​ ​Handy,​ ​ ​Ricardo​ ​Scales, Eddie​ ​Marshall,​ ​Walter​ ​Savage,​ ​Calvin​ ​Keys​ ​and​ ​the​ ​late​ ​Smith​ ​Dobson. The​ ​door​ ​has​ ​opened​ ​in​ ​the​ ​music​ ​genre​ ​of​ ​“​ ​Blues”​ ​and​ ​Cheryl​ ​is​ ​honored to​ ​be​ ​singer​ ​for​ ​ ​LEGALLY​ ​BLUE​ ​Band​ ​and​ ​will​ ​ ​be​ ​entertaining​ ​you​ ​through- out​ ​the​ ​bay​ ​area​ ​and​ ​beyond.